The official newspaper of the students and public servants of the faculties of Dentistry, Health and Public Services, Health Sciences, Medicine, and Pharmacy. 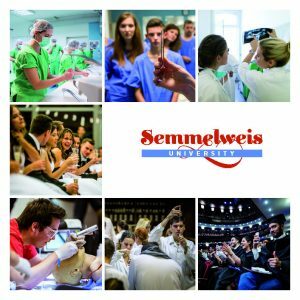 Semmelweis University renewed its publishing company under the name Semmelweis Publishing and Multimedia Studio with the express intent to serve Hungarian medical, pharmaceutical, and natural science with due humility and in a way that is worthy of the University’s national and international reputation, while taking a decidedly new and modern approach. The Synapsis Student Paper (in Hungarian: Szinapszis Hallgatói Lap) was founded by the Semmelweis University Students’ Union in 2005 with the intention of becoming a starting point and key element in informing students and discussing ideas. Its goal is to provide a forum that deals with the current events, problems, and decision points that affect students, to serve as a stable base in the process of becoming informed, and to provide quality entertainment to its readers.